Enjoy this short video guide to help you navigate your way to Weissman's North Fulton office. Take I-400 North to Haynes Bridge Road (Exit 9). Turn left onto Haynes Bridge Road and travel 0.7 miles. At the 4th traffic light (at the Ruth’s Chris Steakhouse) turn right onto Rainwater Drive. Take your first left and our building is ahead on the left. Take I-400 South to Haynes Bridge Road (Exit 9). Welcome to Weissman’s North Fulton office. 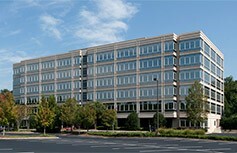 Click below to enjoy an interactive virtual tour of the office located in the heart of Alpharetta.